I like to travel light. Most of my rides are about 1 hour’s riding in the evening after work, usually with a cappuccino stop around halfway. Because of this, it’s not feasible to take a pack out with me… Well, it’s not sensible anyway. So, I take a 750ml bottle with Nuun or High5 Zero in it, a fiver for a brew and a few essential bits. The essential bits go into my saddlebag. For some years I’ve had a basic bag from Decathlon which has served me well but has always been a bit too big if I’m honest. Was It Just What I Needed? … Plus there’s a loop on the back for your rear light. Colour options are basically Ninja black or Shiny silver for the more visibility-conscious rider. As a mountain biker and fan of cheap Japanese gameshows (have you SEEN Ninja Warrior?! ), obviously I went for the Ninja option. Lezyne M-caddy. Room for your essentials. I really like the way Lezyne think things through at the design stage. This bag is no exception: neoprene & velcro pouches are put to good effect to hold your major bits and pieces, meaning that it will be easy to find them again when you do eventually have a road-or-trail-side emergency to sort out. 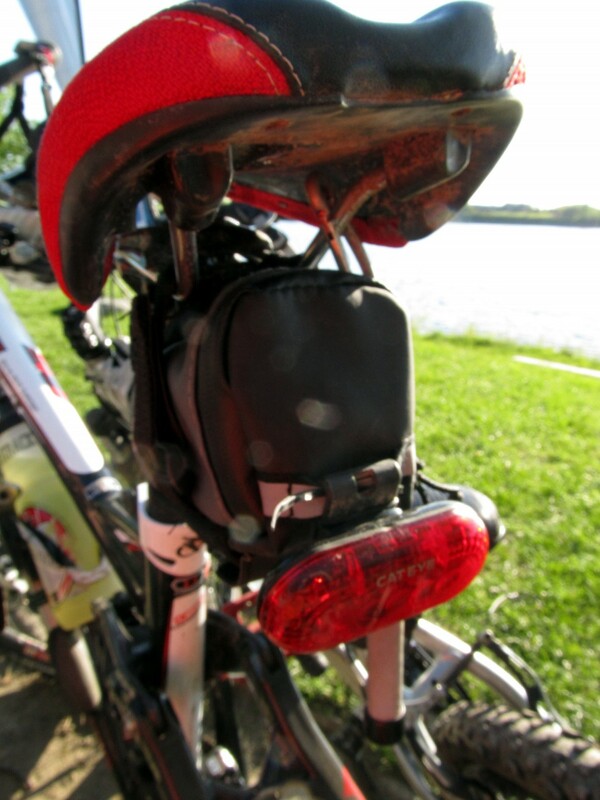 Fastenings are simple & secure velcro meaning that the bag will fit snugly to any stem/saddle combo. The zip, whilst it has a great rubberised loop to make it usable with gloves on, tends to pull at the bag when it’s being zipped open or closed. I’m worried that this will damage the zip or bag with heavy use. I’ll let you know if this turns out to be a problem but to be fair, there’s no sign of damage after a few weeks of use. 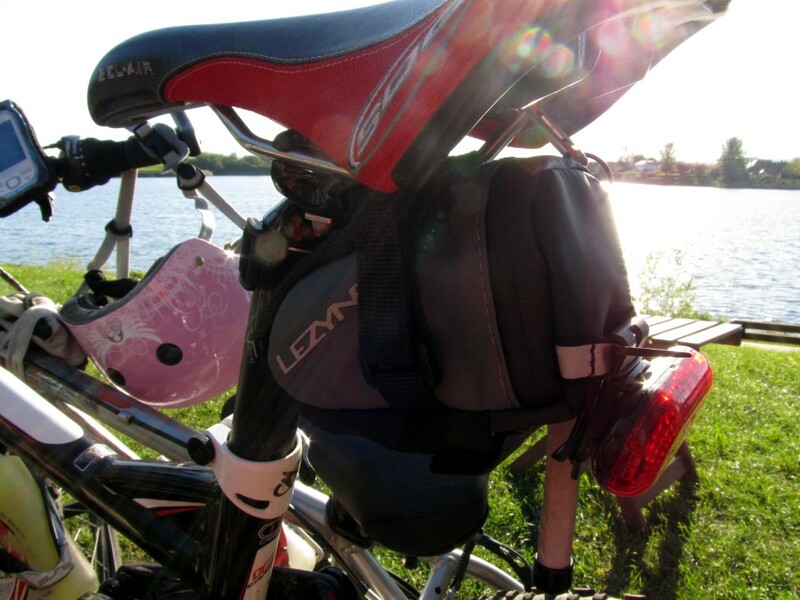 Should You Buy the Lezyne M-Caddy Saddlebag? 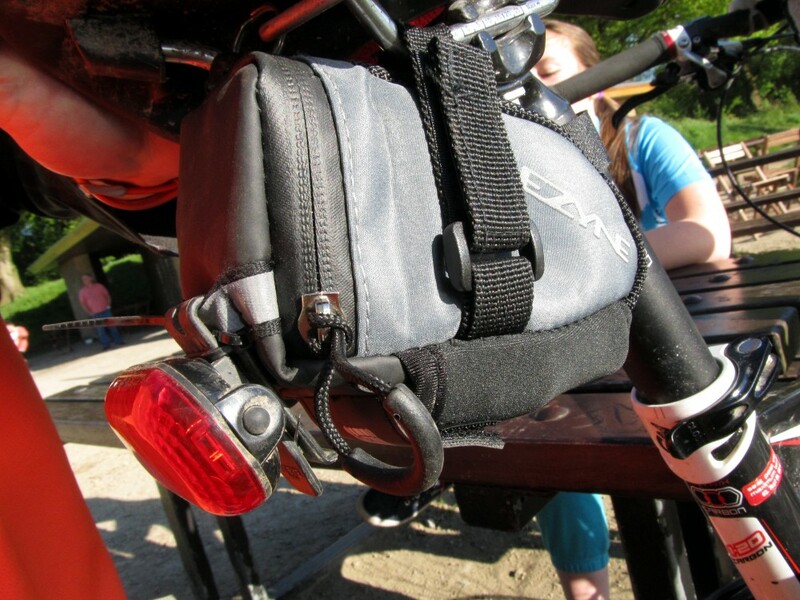 If you’re an MTB rider who dons a 3 litre Camebak every time you go out then you don’t need a saddlebag. If, however, you’re like me and like to travel with the minimum of tools, or if you use a very small hydration pack, a saddlebag like this is perfect. No unpacking every time you ride, just a simple space to keep the essentials in. At this price (under £17 as I write this but click here for latest prices) for a nicely-designed piece of Lezyne kit, I’d certainly recommend it.